Well, here I go.. the usual. I am jumping into superwoman mode. No feelings, no emotions, just pure effectiveness and a take charge focus I always move into during these types of situations. This is also when I start to talk to myself.. usually out loud.. reciting check lists and to do’s making mental notes and giving orders. There always has to be someone like me around in a crisis or everything turns to chaos. I decided we needed to run home first. We were close and it made sense to go grab some essentials just in case he has to be admitted for a couple days. That’s where my mind was.. I was figuring they would need to keep him for a bit to get his blood sugar under control. So, I very quickly grabbed him enough personal items for a couple days, let the dog in and off we went. The best ER was about 35 min away. It was a Sunday so I already figured school and work on Monday would be an issue, but that was the least of my worries. Our youngest daughter went with us.. there was really no choice. As we were loading up to leave Hubby says.. “You better bring something, I’m not feeling so good again.” With no time to doddle I grabbed the nearest thing which was my cleaning bucket and gave it to him to hold for the ride… glad I did. On the ride there which felt way longer than 35 minutes Hubby seemed to be getting rapidly worse. We finally pulled into the parking lot and we had to wait to go in because that bucket now was in full use and I was so thankful we brought it. As we sat in the parking lot experiencing way too up close Hubby’s bucket episode, I had an eerie feeling loom over me. The whole time trying to keep my cool for our 12 yr. old who looks like she would rather be anywhere else… understandably. His throwing up had changed. It sounded like something I had never heard before. And I really can’t describe it in words. It just didn’t sound “normal” and he didn’t look normal. The sound he made when he was vomiting made you cringe and you just knew something was way wrong. I finally had to put my foot down and force him to go in. He seemed to be able to stop at this point probably because there couldn’t have been another thing left in him to throw up. I cleaned the bucket.. thank goodness for the array of half full water bottles always left in the van from my lovely, organized, and neat children… and we made our slow, hope he doesn’t puke again, walk to the ER door. We sat in the waiting room which isn’t fun. Like I said, I don’t know which is worse, wondering what you will catch or who to feel sorry for first as you look around the room. I always fall for the kids and the babies. As we waited I listened to a poor baby about 3 months old coughing like a forty year smoker. It was torture. I just wanted to go pick up that baby and make it all better. The parents sat there like it was nothing…with no reaction…baby still in the carrier…. on their cell phones acting like Snapchat had something more interesting going on. DON’T get me started. Then I hear.. “Mrs. Head? ?” from the nurse who poked her head out of the ER door. I told my daughter to stay put while I go talk to them. I was afraid of what they might say and I would rather be the one to explain it to her. 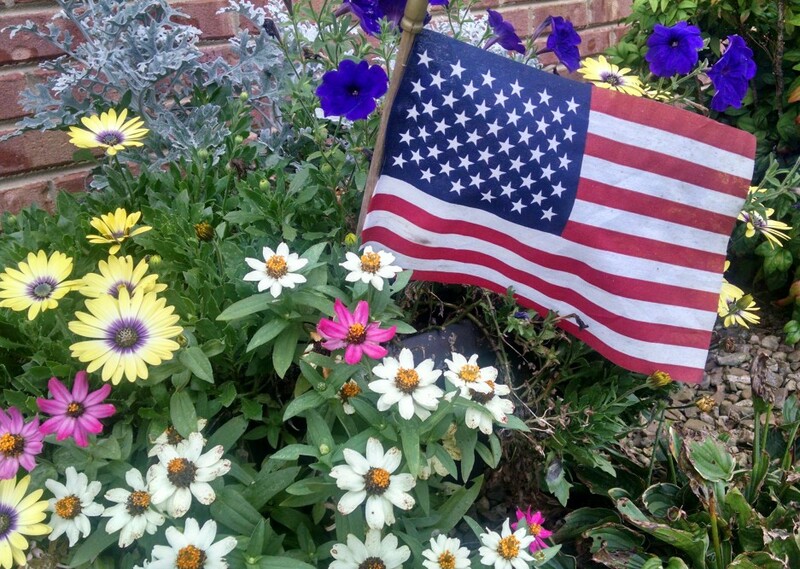 And we begin…DAY 1 OF 17 DAYS…..
Next > July Tablescape… America the Beautiful!! Though I know the outcome of it all…I WANT MORE!!!! Continue! Hurry up! Char…. This is beautiful! Even though I feel I knew this from talking to you during it- it is great to hear you being real. Not “general Char”! Lol…. Even though I knew you needed friends to help you, I still knew you wouldn’t ask and it is hard to read knowing I could have done so much more for you. We love you all so much.